The community and support has been amazing. I recently joined the Sub-30 FB group and the posts have been an extra source of motivation. Oh, I hope you love Sub-30 as much as I do! The Sub-30 Badass Women subgroup is amazing too! I would say the people too! Although running has given me a lot of physical and mental benefits, I've met so many awesome people and joined in lots of amazing communities since becoming a runner. It really is inspirational! 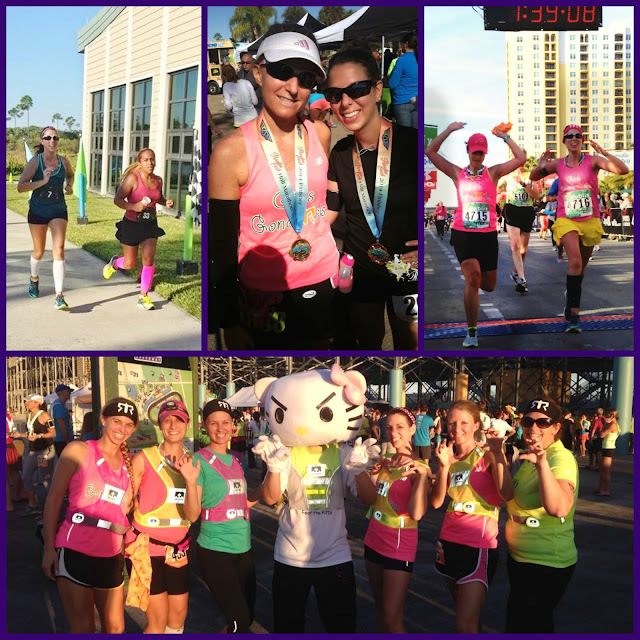 I love that how in running, we get inspired by others and then WE inspire others...it's a great cycle! I couldn't agree more with this post. Running really does bring some great people into your life...so long as you let it! I have met so many people across the nation, it is just amazing!! I like that running allows you to be in a more vulnerable place so you're more apt to let people in! I have met so many great people thru running. And some I have never even met in person. But I feel like I know them thru blogging. What a wonderful fitness and running community. I like that these days, it's really acceptable to have online friends. It used to be kind of weird, but now it's just normal! Ooh yes, it's so true that it's hard to maintain friendships as we get older. In school, you see your favorite people daily. Now they've moved away, had kids, etc. Blogs and social media really make it easier! I love what you said about the circle of friends. That's so true. I like it too! Hands down, the friendships. The friends I've made through running are the best friends I've ever had. But there is also a sense of pride that running brings that I've never had before. I've never been an athlete - until I found running, I don't know if there was really anything interesting about me at all. Becoming a runner opened my eyes to so many cool things (some that are not running related at all) that makes me who I am today! You're right, I never felt personal pride or accomplishment before the way I do now. Running is something challenging that I accomplish anyway; that makes me feel strong and confident! Nice seeing you link up with TOTR! I have made some really special friendships from running that I never would have thought possible. Getting out of my comfort zone can be tough, but running continues to make it easier to do. Running definitely at LEAST gives you something to talk about with new people! I agree about finding it easy to make friends in the running community. Like you, I think I can be a little standoffish before I know someone well. It stems from a lifetime of being shy, I think. I keep my cards close to my chest and like to feel people out before I open up to them, and I've learned that because of this, people often find me hard to know and, in some cases, hard to get along with. But running strips away a lot of those pretensions; we don't really have to worry about finding something to talk about or whether we have anything in common with a runner we meet because we already know one big thing! Granted, I've met my fair share of runners I don't particularly like, but in general I've found it so much easier to click with other runners than when I try to meet people the old fashioned way. I also echo a lot of what Kristina said about having an online circle of friends. Sometimes I do find myself wishing we all lived in the same city so we could grab coffee or lunch. "Running And The City", lol. Yes, I wish we could all live closer. I like that blogging makes friendships easier to maintain, but it would be cool to be able to hang out or run together whenever! Oh my goodness, you just described me in the beginning of your post! I'm not standoffish, not in reality, but I can appear that way to people who don't know me. And trying to hard? Check! I totally agree. 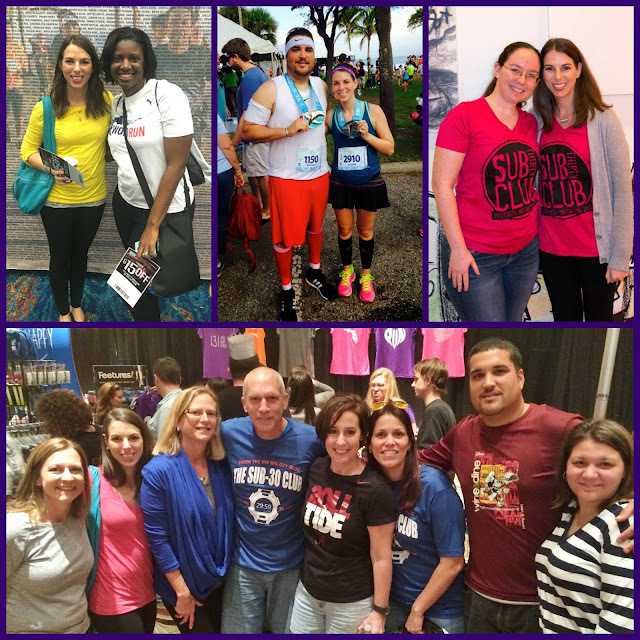 The running community -- online & in RL -- is awesome! I definitely come across as cold, bitchy, and aloof when people first meet me. I've have many, many friends tell me, "you intimidated me" or "I thought you were mean" before they got to know me. It's not something I'm going to change about myself; it's just how I am! Yes! 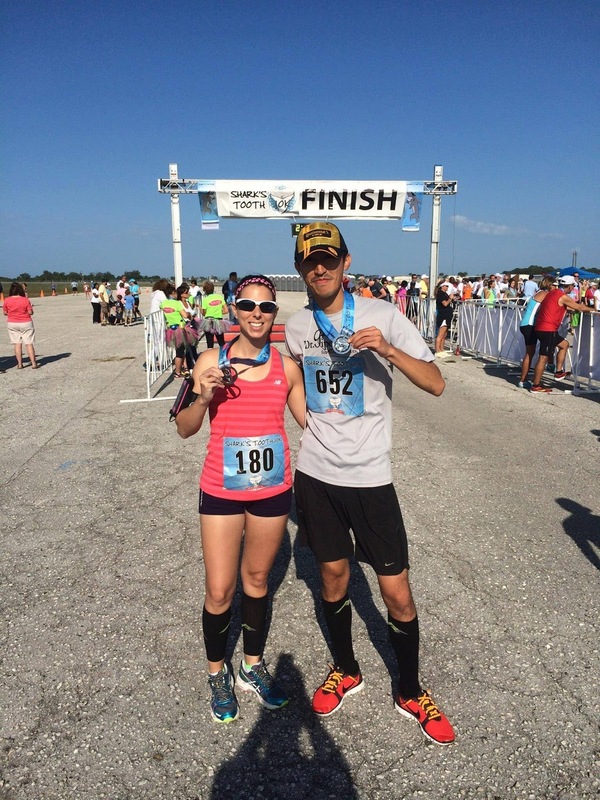 Before I started blogging, I knew no other runners. I went to my first races by myself and had no idea how all the other runners seemed to know each other. I'm not shy, but I was definitely shy around "real" runners! Through blogging I am so grateful to have connected with so many awesome people online and in real life. Oh yes, it's crazy how the running communities in real life tend to all get to know each other. You just recognize people from all the other races! I'm intrigued that you would run races alone when you were new to running. I'd have been too scared! Running buddies are the best. I have such an amazing village of people who will run with me AND help me out when I need something. Thanks for joining us! Hope to see you again next week. The best is truly that their compassion extends beyond running. 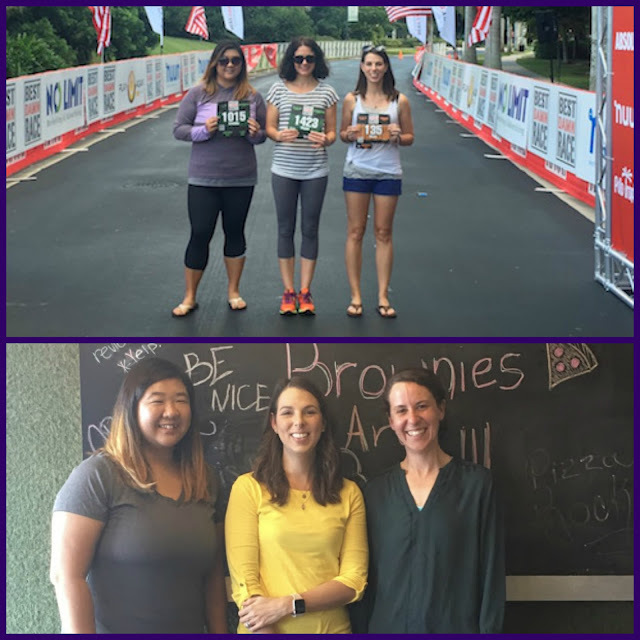 My running friends are also my "all-around" friends! I can totally relate to being standoffish unit I get to know someone! But with other runners I can automatically feel a little more comfortable because I feel like we just "get" each other! Exactly! And there seems to automatically be something in common to smooth over the awkward first meeting! Aw this was such a sweet read! Sometimes when I meet someone who I want to be friends with, I really want to just be like, "Will you be my friend? When can we hang out again?" haha. I loooooove that picture of you me and Kristina at BDR!!! Oh and I have to agree that on runs, it is SO easy to open up to people! I mean, I have had some of my most meaningful convos during runs with people I didn't even know that well! OMG WE ARE THE SAME PERSON. I always want to be like "please be my friend." True story: we met Sean because I told Matt "He looks about our age, go hit on him." hahaha! We were looking for new friends in our area! It turns out Matt's a really good pick up artist! I love my on-line community of runners. I would love to connect locally but it seems like every planned met up within the local running club doesn't match with my schedule. 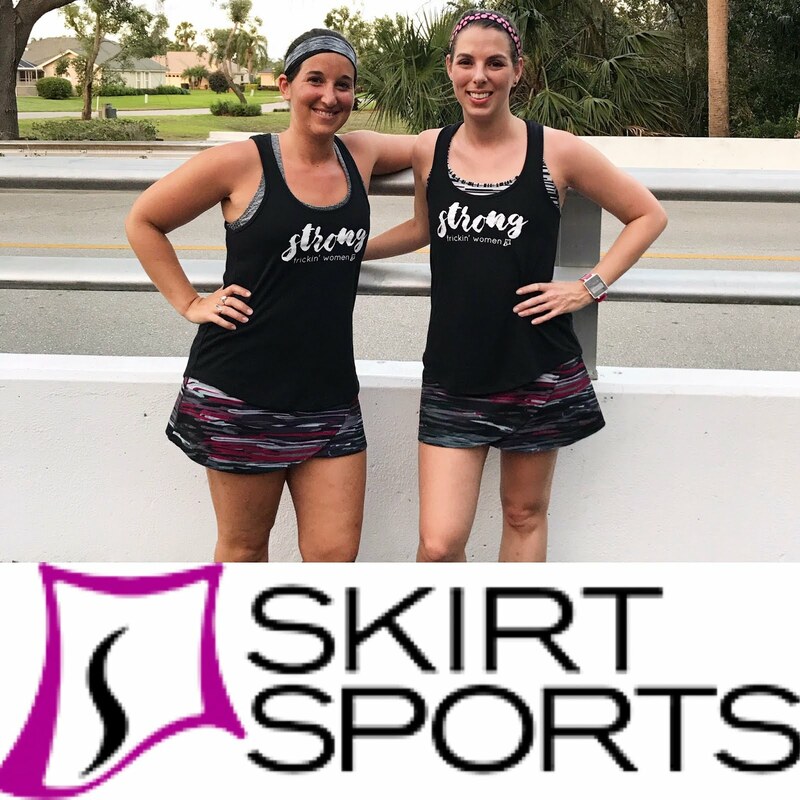 I'm planning on stepping out of my comfort zone this summer and push myself on some people to try to find a local running buddy. As always, I enjoyed your writing! It's hard for me to find local meet ups because of timing. So many of them run right around my dinner time. And I'm pretty scared to get out there and go alone; I often have to have a buddy with me first so that I can at least have some comfort zone! Running is life changing!!! I love the friendships I've had/ I have via running. And like you, it's totally confidence and strength boosting. Absolutely! I think I'm a better friend and now I know what I expect and look for in a friend myself!